AS Roma rebounded after last weekend's defeat to Juventus with a convincing 3-1 win over in-form Sassuolo. Roma coach Eusebio Di Francesco likes to remind journalists of the times they looked up from their notepads and laptops in unison and said to one another: "This guy is crazy." 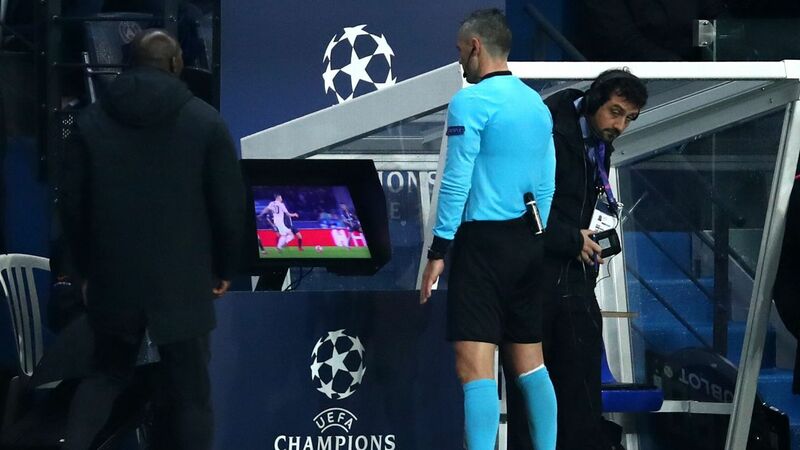 The first such incident was when they got wind of him changing formation and going to a back three before the second leg of Roma's Champions League quarterfinal against Barcelona last season. What followed was one of the sporting moments of 2018: the comeback known as the "Romantada," which had fans dancing in the streets and owner Jim Pallotta diving into one of the fountains in Piazza del Popolo. The second occasion came on Boxing Day after Nicolo Zaniolo scored a goal reminiscent of the one Francesco Totti netted against Sampdoria in 2004. Released into space and sprinting down on goal, the teenager cut inside and feinted as if to shoot -- a move that put both Sassuolo defender Gian Marco Ferrari and goalkeeper Andrea Consigli on their backsides -- before chipping the ball, in classic Francesco Totti style, into the goal. It was the kind of strike that many professionals might look back on at the end of their careers and name the best goal they ever scored; it was Zaniolo's first goal in Serie A. Those who had thought Di Francesco out of his mind to give the 19-year-old his Roma debut from kick-off at the Bernabeu back in September had already started to come around to thinking that maybe Di Francesco was right after all. "It's been a dream of mine since I was a boy to score in Serie A," Zaniolo said. 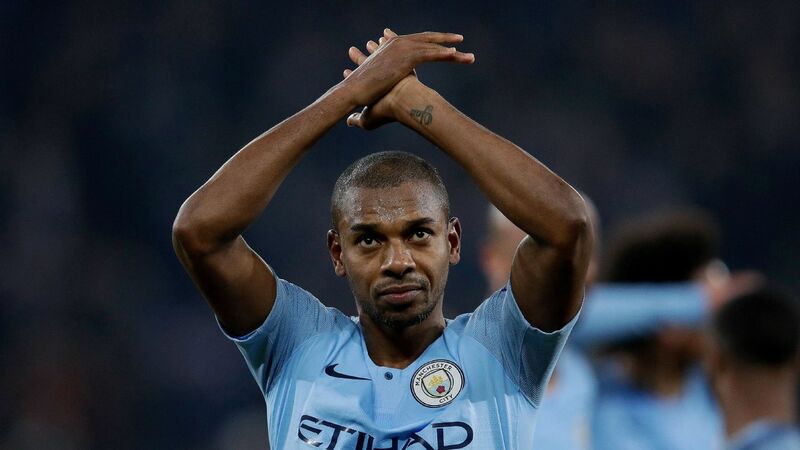 "I went close in other games [he was denied a penalty against Inter and nearly scored twice against Cagliari, for instance], but it didn't come. I just focus on training and doing my best. Sooner or later, it pays off." When Di Francesco started Zaniolo against Real Madrid, the decision was interpreted as a message Di Francesco wanted to send to underperforming senior players and much-hyped new signings who had been slow to adjust. The same had been said of Roberto Mancini when he called Zaniolo up for Italy's senior squad a fortnight earlier, supposedly to make a point to Serie A sides that they need to put more faith in young players. The past three months have served to demonstrate, however, that far from being a pawn in a game that is bigger than him, both coaches were acknowledging Zaniolo's potential and readiness to play at the highest level. For all the narrative that Zaniolo came out of nowhere -- amplified by the news of his joining Massimo Maccarone, Marco Verratti and now Sandro Tonali as one of a select few to be named in an Italy squad without playing a single minute in Serie A -- it was becoming harder and harder to ignore the kid after a summer in which he won everything with Inter's Primavera, scoring 14 goals from midfield, and played a significant role in Italy's under-19s arriving in the final of the European Championship in Finland, where he struck three times in eight games. "If you're very good at 19, you have to play," Mancini said in justification of his choice to bring Zaniolo into the Italy fold. He was surely mindful of his own experience, having made his Serie A debut at 16 years old, not to mention the one he later had no qualms about giving Mario Balotelli. "I made him play in Madrid, and everyone said I wanted to send a message," Di Francesco said Wednesday. "I don't send messages. When I see quality, I put it on the pitch. For me, it doesn't matter how old you are. Birth certificates don't exist to me. At Inter, he didn't even get on the bench. Now he's a [key] piece on this chessboard." Nicolo Zaniolo is making Roma look brilliant for putting their faith in the teenager. Zaniolo's rise has in turn raised questions and caused some embarrassment at his previous clubs. He was at Fiorentina for seven years, but they wanted to send him out on loan and bought other players in his position for their youth team, which led Zaniolo's father, Igor -- a former striker famous for scoring the goal that got Genoa promoted from the third to the second division in 2006 -- to arrange a move closer to home with Virtus Entella. Zaniolo made seven appearances in Serie B with the first team, playing with the big boys and training beside one of the hottest centre-forwards in today's top flight in Ciccio Saputo. He guided the Primavera to the Cup final, and as Igor later said to Il Secolo XIX, "the move to Entella was fundamental because from there, he went to Inter," where he helped Stefano Vecchi and the U19s retain their league title. Fast-forward to today, and Inter are facing the same criticism Fiorentina put up with for allowing talents such as Zaniolo and another recent Italy call-up, Gianluca Mancini, to depart and flourish elsewhere. In hindsight, Inter fans might come to look at the decision to let Zaniolo go in the same light as other deals in the past involving Leonardo Bonucci, Philippe Coutinho and even Roberto Carlos. Asked if there were any regrets, the club's sporting director, Pier Ausilio, said, "No, that's football" while admitting that it was a "big sacrifice." 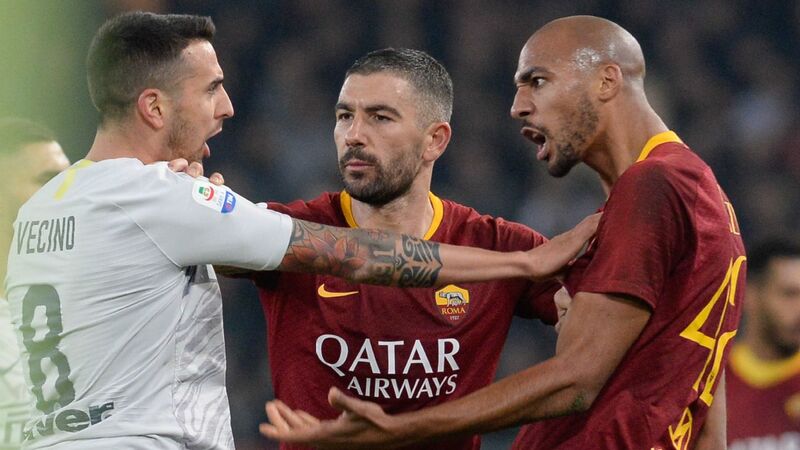 Roma, Di Francesco and Monchi have come in for a lot of flak this season, but their unwillingness to compromise on Zaniolo being part of the Radja Nainggolan deal looks better and better with time. Roma used Luciano Spalletti's determination to be reunited with the Belgian midfielder as leverage -- to great effect. The timing of Zaniolo's first Serie A goal, which came after a string of impressive performances, attained particular poignancy, coming as it did at the end of a week in which Roma are entitled to feel more justified than ever about making the unpopular decision to sell Nainggolan. Stories about nights at the casino and cloned cheque books were followed by the player turning up late for training and being suspended by the club for Wednesday's big game against Napoli. A WhatsApp voice memo then surfaced on social media in which a person believed to be Nainggolan says he is being slaughtered in Milan and will ask his "mate" Totti to help bring him back to Roma. The €4.5 million Roma invested in Zaniolo, a figure deemed excessive by some critics in June, now looks like a bargain for which Di Francesco and Monchi deserve credit. "He's like a veteran," Totti said at the Champions League draw at the start of December. "He keeps it simple. Little by little, he's finding continuity and showing his ability. Nicolo is explosive -- he's strong, skillful. He's got everything to become a great player. But don't let him know I said that. If anything changes, it'll be my fault." Zaniolo does not look like a teenager. He's 6-foot-3 and rapid. The pundits on Sky Calcio Club on Wednesday -- Billy Costacurta, Andrea Pirlo and Massimo Ambrosini -- were comparing him to a Ferrari. Injuries to Javier Pastore and, more recently, Lorenzo Pellegrini have helped Zaniolo impose himself, but it's his hunger and willingness to put side before self that stand out. Zaniolo has played as a No. 8, a No. 10 and a false No. 9 this season and has still managed to affect games. At no point has his performance suffered. 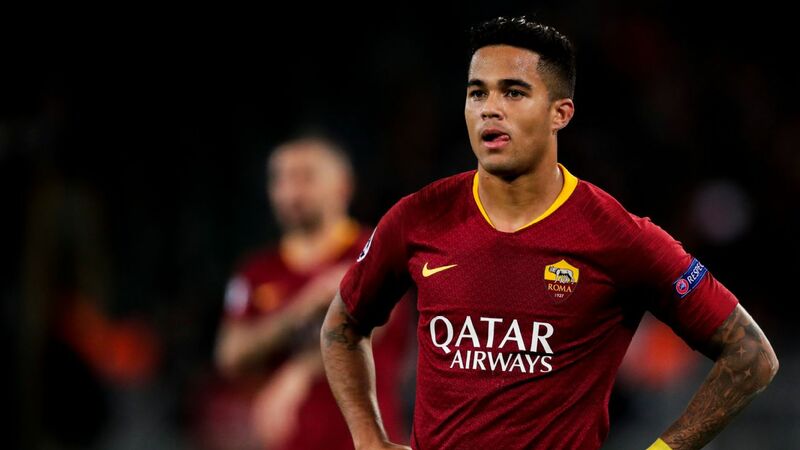 "Against Genoa, he changed position three times in the same game and was incredible for how open he was to what Di Francesco demanded of him," Italy U21 coach Luigi Di Biagio said. "He played really well and is the prototype of a modern footballer." Father Igor is using his experience to help keep Nicolo's feet on the ground. "Dad keeps telling me that where I am now is only the start," Zaniolo told L'Ultimo Uomo. "That I can't let it go to my head because you can go from top to bottom in no time at all." Nevertheless, Igor, who now runs a bar in La Spezia, can't hide his pride about what his boy is achieving. "He was called up by Italy before playing in Serie A and made his Roma debut at the Bernabeu. I'd say he's already wiped the floor with me [and my career]."